chazza replied to Sean_D's topic in Balls, Carts/Bags, Apparel, Gear, Etc. Quite. No 24 handicapper on earth plays like that. Turnberry (long before Trump got his hands on it). Royal St Georges in the driest, hardest summer we've had for forty years. Lahinch in the wind. Hmm. At my last club there was a member aged 81 who was still playing twice a week, walking the course and carrying his own bag - admittedly with a half-set of clubs. In his day he had been the club champion about a dozen times. By the time I played him he couldn't hit a driver past my 7-iron, but he was always in the fairway, could still chip and putt like the devil himself and played to 11. He seemed to be having a pretty good time - better than me, anyway. Others have mentioned some of the lesser-known (and less expensive) courses near St Andrews. Elie and Lundin Links are really excellent and very different from most of the courses you'll get in the States. After a few days there the choice is really whether to go north, into Aberdeenshire, or south to East Lothian. I'd suggest the first-time visitor should do the latter. North Berwick, Gullane 1 and Gullane 2, and Dunbar would all be on my list. And if you want to go a little off the beaten track, Goswick at Berwick-upon-Tweed is a superb links course, used as a qualifier for the Open, that you can play for peanuts. HI. I'm new here and this is a very long thread so if these points have been made before, I apologise in advance. It seemed to me that there were two big issues in the Ryder Cup. The first was the course set-up, and the second was the apparent difference in attitude between the teams. Le Golf National is a tight course. Let the rough grow deep like it was here and accuracy is going to be at a premium. Length helps everywhere, but with rough like that and water everywhere that course really has to be played from the fairways: you can't drive the ball like Mickelson habitually does and expect to have a shot to the green. Mickelson's comments afterwards about not wanting to play these sort of courses anymore were revealing. I didn't take them as just the moaning of a sore loser, they are more indicative of a completely different approach to the game. On the PGA tour very few courses are set up to really penalise the long but wayward drive, it's routine to hit it off-line and still have a wedge into the green. And the organisers, and the crowds, as well as most of the players, like it that way. Boom-boom off the tee, lots of close approaches, lots of birdies for the TV people. In Europe, and especially the UK and Ireland, the mindset is a bit different. 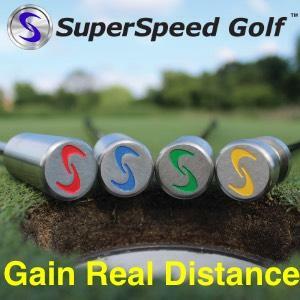 Most of the old-established courses aren't that long, but they're tight or they're hard and fast or they're exposed to the wind (or all three) and simply blasting it 320 yards off the tee is very often a poor strategy. The game is more about choosing the right shot to adapt to the terrain than about setting up courses to favour the big bombers. It's less spectacular but calls for more imagination and judicious shot selection. That was what was required in Paris and most of the Americans failed to adapt. Why was that? Partly it was that the demands made were unfamiliar. But in addition (and this is where the attitudes of the teams comes in) most of them simply didn't look to be up for the fight. Woods mooched round looking as miserable as sin. Johnson at times looked almost indifferent. Apart from the close buddies, like Speith and Thomas, who were clearly playing for one another, it didn't look like a team. Contrast that with the Europeans, for whom the competition was clearly a very big deal and who were giving everything not merely to play as well as they could but to support and encourage their teammates. If you didn't know better you'd think Europe was a nation and the USA just a loose confederation of guys who happen to play quite well - for themselves.